Yeee..ha. 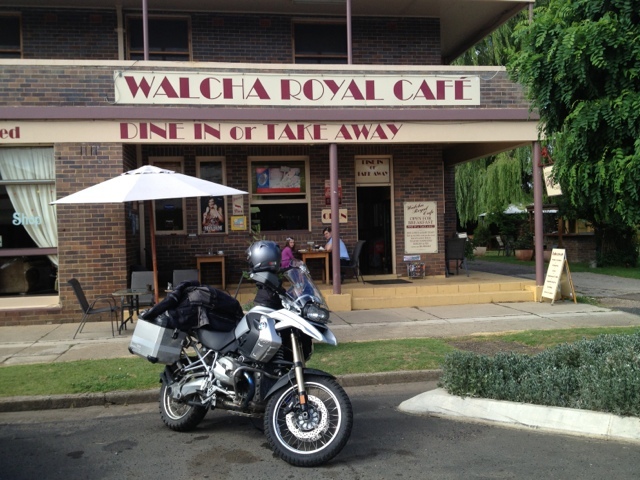 After a quick breaky at Walcha cafe it was off on Thunderbolts way. What a blast, dry, fast, varied, no traffic even if some sections had more patches than road the GS ate it up. Might be a bit treacherous on a sports bike. The follow on Buckets way was pretty bad but still better than pacific hwy. Soon enough I was in Newcastle and driving up the stately drive of Anthony and Allison's place. I finally met baby Lucy and spent the rest of the arvo catching up and drinking around the pool with the Dunlops and friends of Alli's.